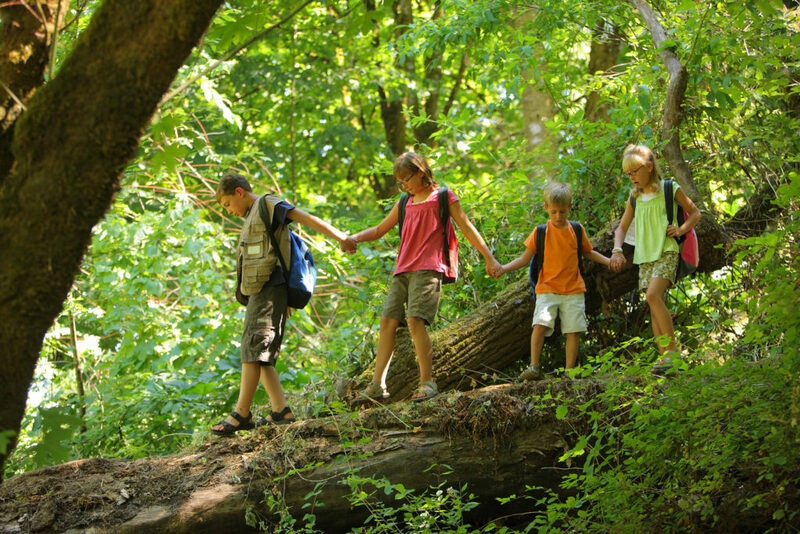 Attending summer camp is beneficial to children and teens for a variety of reasons. First, it’s an opportunity for them to disconnect from their hectic schedules and lives –quite literally. Cell phones are rarely allowed, and even if they are, good luck getting a reception in the woods! Secondly, it’s a new adventure just waiting to be experienced. Kids are provided with a variety of daily activities like rock climbing, horseback riding, canoeing in a serene lake and much more, all endeavors most usually have never tried before. Plus, summer camp helps children and teens gain confidence, as they are away from their parents, making new friends and experiencing new things. Along with the standard adventurous, fun-filled daily activities offered at summer camp, Christian summer camps offer some form of religious programming as well. For example, for younger children, programs may focus on the basics of Christianity, while teen programming centers on reconciling Christian faith with the outside world. Flathead Lutheran Bible Camp is owned and operated by 55 Evangelical Lutheran Church in America (ECLA) congregations and is committed to proclaiming and living out the Gospel of Jesus Christ. This faith-based summer camp was founded in 1943 and is situated on the west shore of beautiful Flathead Lake, about 40 miles southwest of Glacier National Park. Flathead Lutheran Bible Camp offers three distinct summer camping programs for youth of all ages, including Montana Youth,Glacier Wilderness Adventures and Day Camps with bible study themes lived out each day through worship, drama, singing, small group bible study, prayer, arts and crafts and more. Founded by the Columbia Baptist Conference, Camp Bighorn is a Christian adventure camp that got its start back in 1985. It’s a year-round ministry with a mission to steward environments that are conducive to the work of the Holy Spirit, proclaiming the Gospel of Jesus Christ and developing kingdom leaders.Throughout the summer months, Camp Bighorn offers a variety of youth adventure camps, immersing campers in exciting daily activities, small group discussion and personal reflection, all designed to challenge campers to growing their understanding and practice of godly character. For those looking for an affordable faith-based summer camp in the Flathead Valley, Big Sky Bible Camp is the value choice in the area. Even though tuition is slightly lower than comparable summer camps, this nondenominational camp is well-appointed, with acres of undeveloped land and lake frontage and offers a wide variety of life-enhancing programming with a strong evangelical Christian focus. Big Sky Bible Camp runs summer camps from June through August and offers a place for youth in grades three through 12. As a faith-based senior living community, Immanuel Lutheran Communities serves residents’ religious and spiritual concerns through one-on-one pastoral care, affirming the individual beliefs of all. It’s our mission to enrich lives by providing Christian communities of support and loving care. Our vibrant senior living community in the Flathead Valley, rated a top retirement destination by Where to Retire eMagazine, offers affordable living options that combine the beauty of the area with a relaxed, carefree lifestyle. Contact us today to learn more about retirement living in Kalispell at Immanuel Lutheran Communities.